When I first set out on my impact investment journey, my mission was to use real estate as a vehicle for meaningful societal change. One of the main goals of the impact investment firm I launched was to provide affordable housing to anyone who needed it, whether that meant the homeless, veterans, low-income families or others. I assumed this endeavor would have little to no downside; my team was doing great work by helping people get off the street or out of shelters and into high-quality housing. We gave ourselves a big pat on the back for our good intentions and expected everyone else to do the same. In reality, despite succeeding in many ways at our mission, there have been unexpected bumps in the road. Every business will encounter twists and turns, and my team’s journey to provide housing to the masses was no exception. I understand that not everyone is in my position to start an impact investment firm, but there are still ways you can invest money in a cause you hope to push forward. For those interested in entering the impact investing realm, here are four core components to keep in mind. If your motives are off when you begin building your investment portfolio, you are less likely to invest in the proper cause or to see the financial and societal returns you hope for. Without a clear motive, you are just throwing money at a problem and hoping for the best. Ask yourself why you are interested in making an impact investment. Then ask, “What do I want to get out of the investment?" There is a big difference between donating to a charity and becoming an impact investor. While there are plenty of impact-minded organizations happy to accept a check without any hands-on involvement, to become a successful impact investor your motives should center on playing an active role in improving a societal issue. In addition, focusing on a passionate issue enables you to find the right opportunities to invest in, and it ensures that you will be physically, mentally, emotionally and financially prepared to do so. 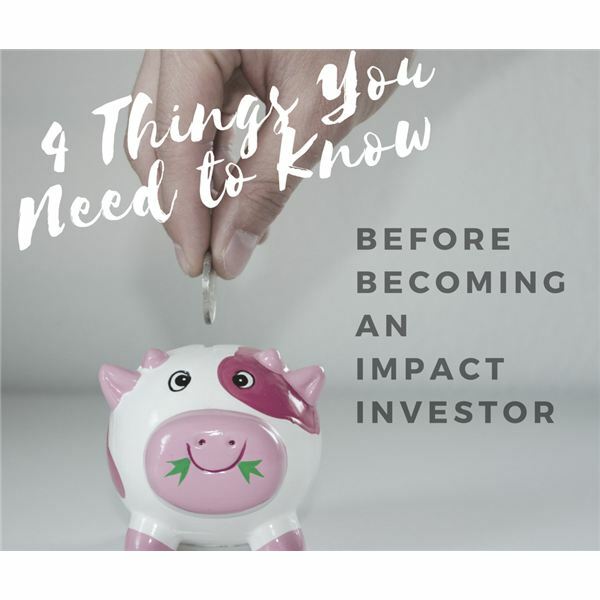 Along the road to impact investing success, you are going to encounter an array of tangents, discomforts and interrelated causes you may not realize you are affecting. The key is to start thinking about the educational, environmental and social implications of your investment as soon as possible. Don’t forget that there are real people with names and families behind the statistics of your investment results. Over the years, I have found myself in some difficult situations. Sure, I have helped people by putting a roof over their heads, but I’ve also encountered some heart-wrenching situations and heard some upsetting stories. I have met people who had completely given up on life, people who had become highly aggressive and people who were recovering from severe trauma and dealing with PTSD. At the end of the day, I am a real estate impact investor, so dealing with these very human issues pushed me to step completely outside my comfort zone and into roles for which I am highly unqualified, such as a counselor and therapist. Although it was a challenge, taking on these new roles helped me see the bigger picture of my team’s work and impact. Anything that really matters takes significant time and effort to achieve, perhaps more than you first imagined. It can be difficult to prepare for this investing journey. When doing so, though, ask whether you are able to work on long-term projects. If your answer is no, keep in mind that impact investing is a lengthy process that contains continuous and iterative elements. There is the period of time when you inject the capital; then, there’s the phase when you hit critical mass and the community gets behind your mission; and finally, maybe years later, your goal may come to fruition. Patience is a virtue in the impact investment world, and it may be a deal breaker for your success throughout the entire process. In the beginning, you might face more negative news than positive. However, if you are able to stick it out, you will be rewarded. Better yet, you will be able to look at people and know that you changed their lives and the surrounding community. Some people praise the work that we do as impact investors, but I have encountered more people who question it. I’ve been asked, “What’s the catch? What are you really doing?" These questions are disheartening, to say the least. When you are putting blood, sweat, tears and money into a cause you feel strongly about and then receiving large amounts of pushback, it can be hard to not feel discouraged. Make no mistake: You will deal with plenty of resistance and skepticism toward your work, not just from your peers, but also from the people you are trying to help. Over the course of my career, I have met numerous people who had been living a certain way for so long that any deviation from their lifestyle proved to be unwelcome. Many of the people I met resisted change, even if that change meant positive improvements. For those of us making the investment -moving a family from a rundown old apartment into a larger, newly renovated (yet still affordable) apartment- it seems like a no-brainer. This lesson is a hard one to learn, so be prepared that no matter how well-intentioned you are, your work may not always be received as well as you’d hope. Committing to impact investing is not a decision to take lightly. There are many factors to consider and motives to keep in check to help your efforts make the desired difference. Keep the above impact investment insights in mind to help prepare you for the long adventure ahead. And when you hit the potholes and twists in the road, don’t forget to remind yourself that fostering change is no easy task, but more often than not, it is well worth it. About the Author: Although he was originally a Wall Street guy, André Bueno has always had a passion for real estate investing. In 2014, he created the The Bueno Group, a vertically integrated, socially responsible company specializing in acquiring, administrating and revitalizing urban communities with global implications. He was previously an analyst at Goldman Sachs and Morgan Stanley.